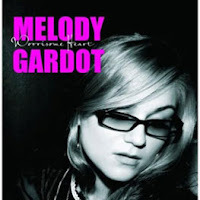 A couple of years ago I saw an interview on the CBS tv program, "Sunday Morning" of a singer named Melody Gardot. She's the same age as my son and lives in Philadelphia, just like my son. Several years ago, while she was attending college, she was hit by a car while riding her bike in the city. Her injuries were devastating. During her long hospital stay she began undergoing music therapy, to help her deal with unremitting pain. She discovered that while singing and performing were the only times she was pain free. She has a wonderful, sultry, bluesy quality, for me, remeniscent of Peggy Lee. The interviewer asked her if she had any other passions and immediately she responded, "France!" She loves all things French. 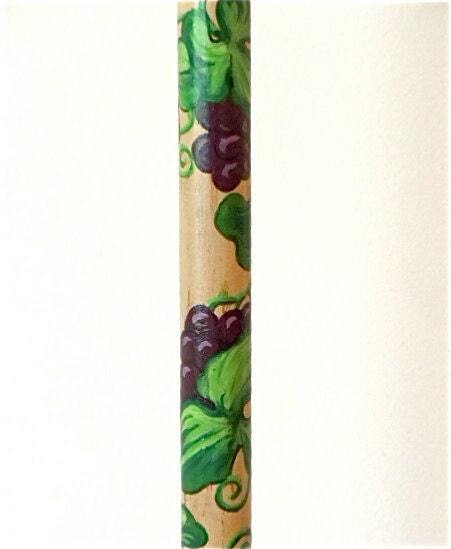 And right away my mind jumped to painting a cane for her (she uses a cane) with grape vines, to symbolize French wine. I haven't sent her one. I think I'll get the courage up and do so! 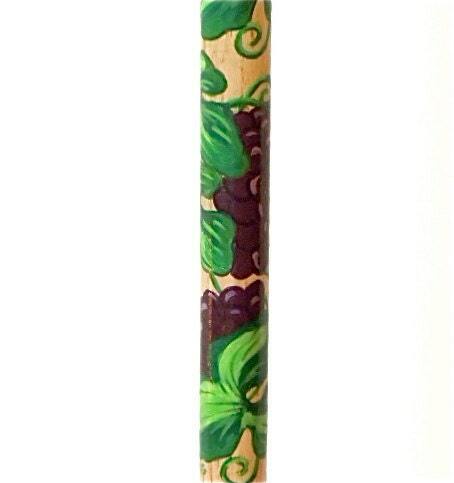 What a delightful cane!... and sooooo helpful if you've actually been indulging in the product of the vine. Well done. 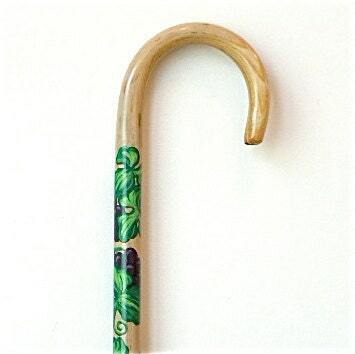 This is a beautiful cane. The details and colors are gorgeous. And the story with your pieces is inspiring on how people live with their challenges and turn a negative into a positive, wonderful. 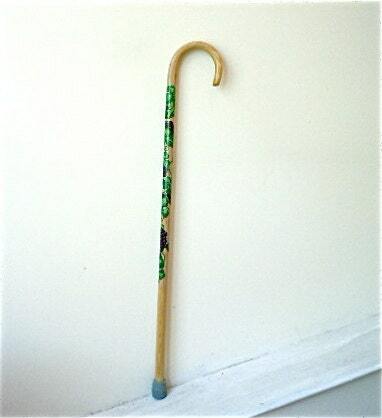 This is a lovely cane that goes along nicely with your story. I have been unable to leave comments to blogs, but I had no trouble leaving one on yours. I love the themes you imbue your canes with- SO perfect for this week's challenge and SO beautiful! 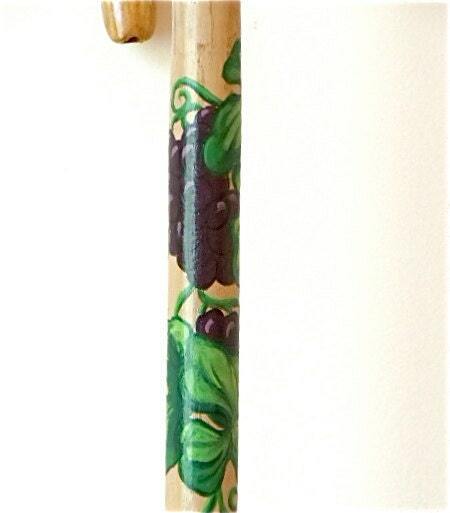 Beautiful cane and an inspirational story. I'm sure she'd love to know how she inspired such a beautiful cane. Love your canes. Each one unique and beautiful.